Crananidin from Nutramaxlabs - Give your Dog the Berry Best! Give Your Dog the Berry Best! Crananidin is a scientifically formulated cranberry extract product. 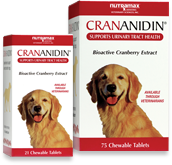 Crananidin is given to help support urinary tract health in dogs. 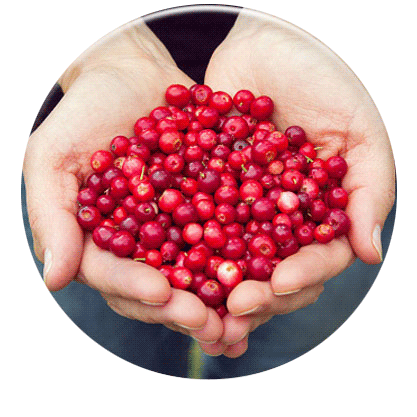 Crananidin's cranberry extract contains compounds called "proanthocyanidins" or "PACs". How does Crananidin help support urinary tract health? 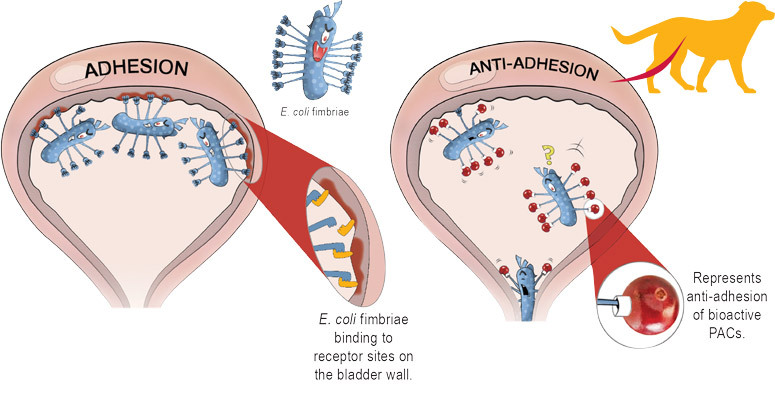 Administration of Crananidin blocks adhesion of the E.coli fimbriae to the bladder epithelium thus allowing the bacteria to pass through the urine. Are there any side effects or drug interactions associated with Crananidin? Administration of Crananidin is not associated with any known side effects in dogs. There are also no known interactions between Crananidin and any drug or other supplement in dogs. Where can I purchase Crananidin? Crananidin is available from your veterinarian. As your pet’s health care professional, your veterinarian is best qualified to decide if Crananidin may help your dog and can monitor your dog’s response. 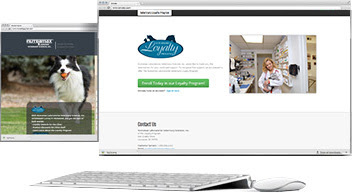 Veterinarians earn a range of select premiums throughout the year!